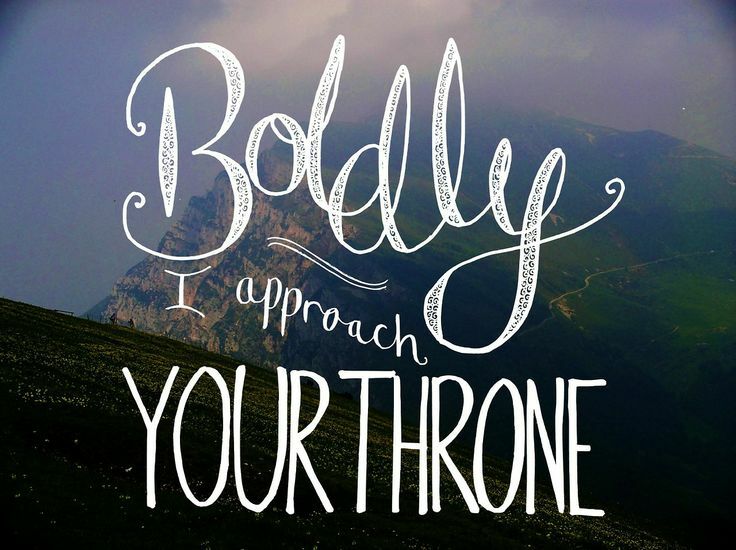 Have you ever stopped to consider just how approachable our great God is? Scripture tells us that He is so holy we cannot look upon Him and live. It says that He dwells in unapproachable light. He is devastatingly holy and righteous. How can fallen and cursed sinners dare to look to Him and expect favor? And yet, He Himself tells us to draw near, to seek Him, to call upon Him, to walk with Him, to call Him Father. The goodness of God does not end with the invitation. He does not uselessly invite unjustified men into His presence, but He makes a way for them to come near to Him. With our sins in the way, we cannot stand before Him, and He cannot tolerate us. The psalmist says that the one who can stand in His holy place is he who has clean hands and a pure heart” That description can only be fully true of one Man – our Savior Jesus Christ. The Father provided a way for us to draw near through Jesus. On our behalf, Jesus fulfilled the law that we broke and bore the wrath that we earned. After conquering death, Jesus ascended to the Father, where He perfectly intercedes for us in the presence of God. Because Jesus made us righteous and acceptable to God, we can now approach God with confidence. The writer to the Hebrews put it this way, Therefore, brothers, since we have confidence to enter the holy places by the blood of Jesus, by the new and living way that he opened for us through the curtain, that is, through his flesh, and since we have a great priest over the house of God, let us draw near with a true heart in full assurance of faith, with our hearts sprinkled clean from an evil conscience and our bodies washed with pure water (Hebrews 10:19-22 ESV). God’s plan from eternity past was for His people to be with Him. He assured us of His intentions from the first pages of Scipture, and He made it possible through Jesus Christ. He said that the pure and the clean can enter His presence, and then He provided a way for us to be made pure and clean. We are justified and declared righteous in Jesus. Through our Savior, although we are still sinners and do not in any way merit God’s approval, we have total and complete access to God. As if it couldn’t get better, the Holy Spirit assures us of our adoption and gives us the freedom to call God Father, just as He told us to. His graciousness is worthy of our adoration. Jenn serves as America’s Keswick’s audio visual technician. She is married to Steven Cougle, a Colony grad who serves in the Housekeeping department.